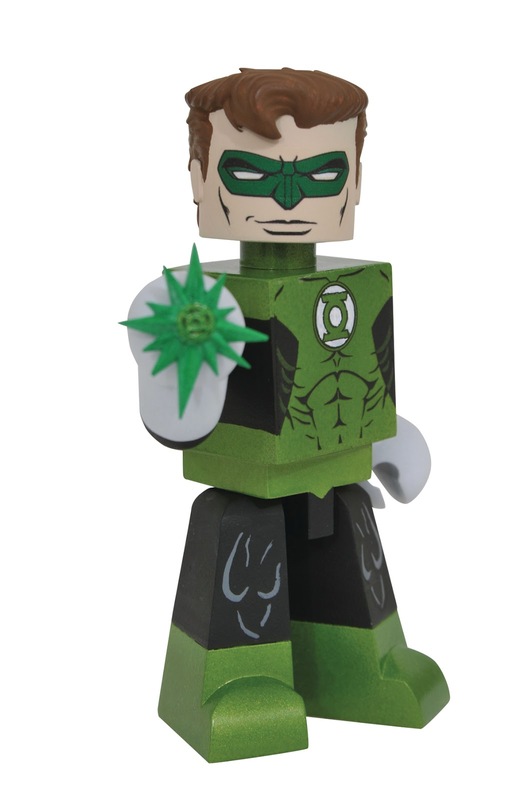 Diamond Select Toys has unveiled a new line of DC Comics Universe Vinimates vinyl figures! 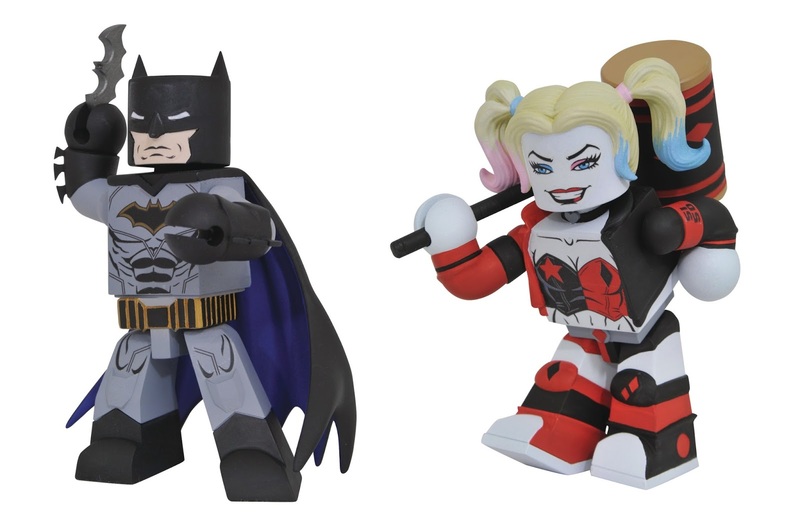 This new collection of comic based Vinimates kicks off with three figures, Batman, Green Lantern and Harley Quinn. Each blocky 4” PVC figure strikes a distinctive pose based on their appearances in popular DC comics, and features ball-jointed neck articulation. Each DC Comics Vinimate Vinyl Figures by Diamond Select Toys comes packaged in a full color window box perfect for display. All three figures seen here can be pre-ordered now at Entertainment Earth for $9.99 each here.